If your vanity and medicine cabinets are anything like mine, they’re (1) too small, (2) too cluttered, and (3) work just well enough that you can’t justify the mess and expense of a remodel. 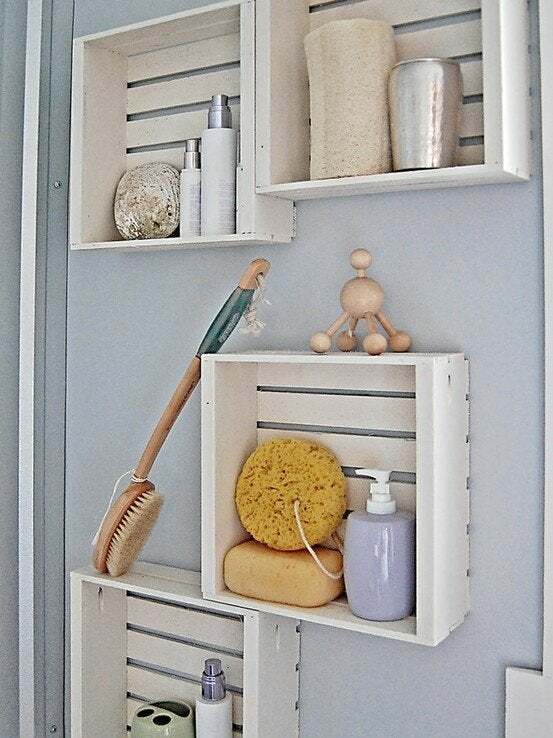 Instead, opt to add some smart and stylish DIY bathroom storage solutions to make better use of the bathroom you already have. 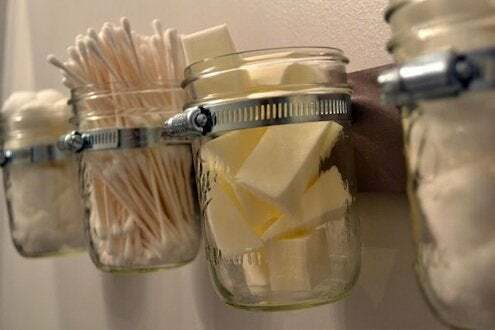 Perfect for those little items, this easy and clever mason jar project makes for an attractive display while providing easy access to the bathroom products you use every day. 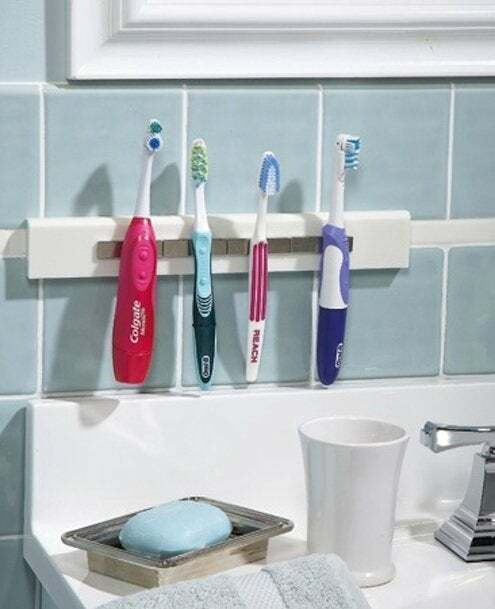 Looking for a way to keep your toothbrush off the wet, messy sink area? This wall-mounted magnetic strip will do the job nicely, and you’ll love this ingenious method for magnetizing a plastic brush. 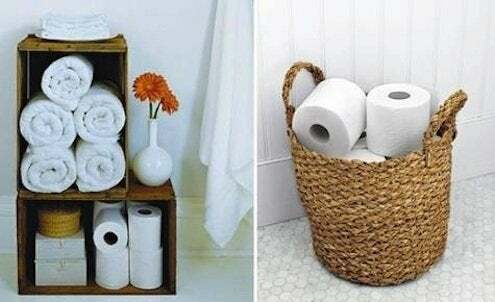 This fun, rustic, rope-supported DIY bathroom storage shelf looks great and provides useful storage above the toilet. 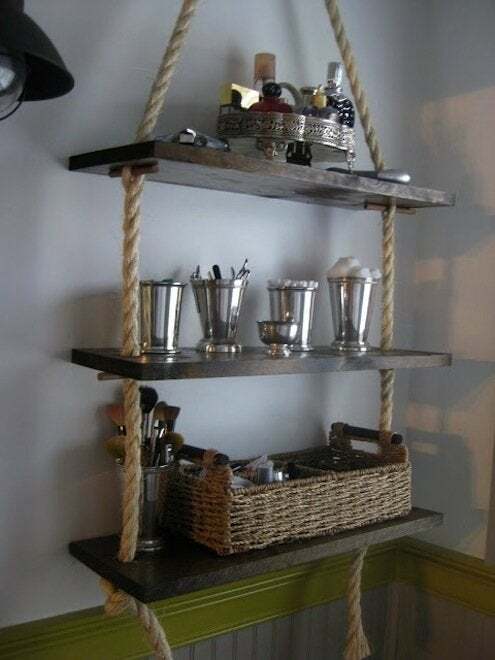 You can make your own this weekend with easy-to-find – materials and a little knowhow. 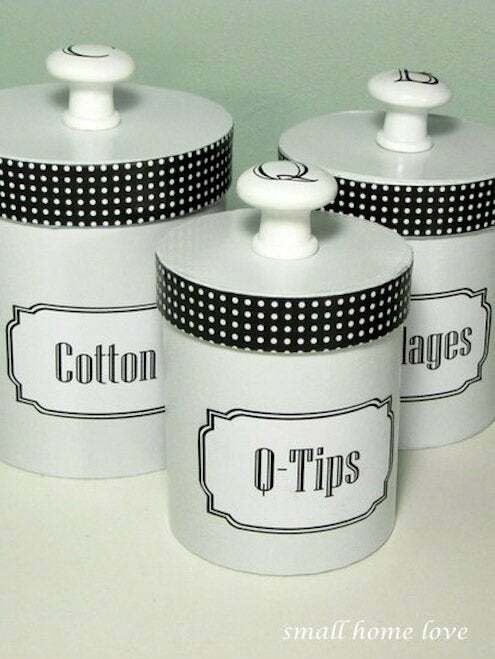 Constructed from inexpensive gift boxes that have been adorned with custom print-out labels, these vintage-inspired storage containers manage to impart decorative appeal to toiletries. Toilet paper is a bathroom necessity; rather than hide it, why not embrace its white, geometric color and shape with a low-tech storage-display approach? No woodworking is required to transform craft store crates into versatile, space-saving wall storage units with handmade aesthetic appeal. When you’ve run out of floor space, the only direction to go is up. 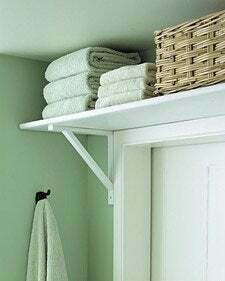 Installing an above-the-door shelf is a smart move, especially for those with a small bath that happens to have taller ceilings.